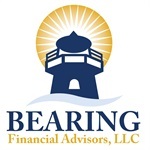 Scott Bussy founded Bearing Financial Advisors, LLC (“BFA”) in 2002, in fulfillment of his career-long goal to bring institutional- quality financial service to the individual client. His early years as a lender and underwriter gave him the knowledge he used to help establish one of Wall Street’s first mortgage whole-loan trading desks at Merrill Lynch Capital Markets. Soon after, he worked for a national scale lender, managing pipeline risk (hedging) on over $1 billion in annual production. Recruited back to Wall Street, he was appointed VP and Associate Director at Bear Stearns & Co. He engaged in private placement and financing transactions for major financial institutions. His focus evolved toward the merger/acquisition markets, and his team collectively moved to Donaldson, Lufkin & Jenrette (“DLJ”) Securities Corp.
Transitioning back to Main Street, he founded a mid-tech business in Dallas, TX, which was purchased in 1997 by a publicly-traded bank holding company headquartered in Memphis, TN. He served a number of terms on the Board of Directors for the Texas Mortgage Bankers Association. As Co-Trustee of a private trust since 1986, Scott observed a vast difference in the quality and expertise on the retail (individual client) side of business, as compared to his experiences on the institutional side. That imbalance inspired his last and final career change in 1996, when he joined an Austin-based financial planning practice. He received numerous awards for his productivity on the planning side of the business. Eventually, his practice outgrew the constraints placed on him by a large and inefficient business model, so he established “BFA” according to his concept “to give the ideal client the flexibility they deserve”. 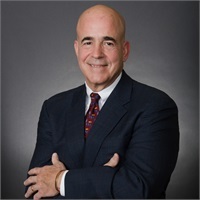 Scott holds a B.A.degree in Business Administration and is a member of GARP (the Global Association of Risk Professionals) and the FPA (Financial Planning Association, Austin Chapter). His active licenses include: Series 6, Series, 7, Series 63 & 65 and Registered Securities Principal (Series 24). He also holds his Group 1 (insurance) license. He and his wife Elaine are raising their two children- Meredith (17) and Brenner (15) in the hills of Austin, TX.